Just let me say this right off the bat: Any wisecracks about challenges and any promises I may have made will earn you a visit from one my vampire pals (and most them aren't as cute as Eric). Blame it on Bart from Bart's Bookshelf. 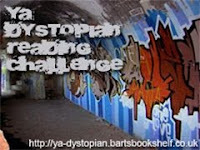 He's hosting a YA dystopian challenge that I just can't resist. I love YA, I love dystopia. So I have to love this challenge. Here are the simple rules. Commit to and read 1 to 4 young adult dystopian books between October 15 and December 31. Easy, yes?. 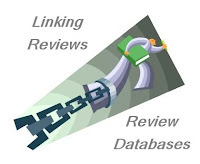 I am committing to just 2 books. I think they'll be Scott Westerfeld's Ugly series. Why? Because I've been in the Westerfeld mini-challenge since January and haven't read the first book yet. This way I can get two challenges done in one fell swoop. Apparently I need more motivation. Bart listed some of his favorite YA dystopian books in a summary post. Check it out if you're curious. Late December will tell the tale of whether I can meet all my 2009 challenges in the next 82 days. I'm definitely on the road to ruin. Good luck with the challenge! If it weren't for my book buying ban I'd be joining this one too for sure. Argh, Beth ;o) I love Dystopian!!! But I just cleared my mind and everything else of ALL other challenges except Sookie (because it runs for so long), and now I am sooo tempted by this one. Oh well, I will at least check out Bart's list! I certainly can't make fun of you since I am failing my own challenges. This one would not be much of a challenge for me though since I read dystopias whenever I can! Good luck! My challenges really fell by the wayside with everything else going on. I may just start over next year. LOL - I would never say a word! Will check this challenge out. I shant throw stones, as I live in a glass house. I am tempted by this one, as I love dystopian fiction. If it weren't focused on the last two months of the year, I'd be in for sure. I just need to hone in on a few goals by year's end. Then in January, I will be a woman gone wild. Oooh! Sounds fun! I have The Atherton trilogy as well as a few other ones! I should probably join too! Mum's the word on this end. I have found myself pretty tempted recently too. Not for this one, though - dystopian fiction isn't really my cup of tea. But I'll be here cheering you along! Westerfeld is really good... I read him for the first time this year and have already read 6 books by him. Once you start you won't want to stop apparently! I had a wisecrack on the tip of my tongue, but don't want to be visited by a vampire, so I'll keep it to myself. Have fun with the challenge! Yes! The "Uglies" series is FANTASTIC. A perfect read for this challenge. I'm still resist this challenge, although I admit if someone told me about 2 just fantastic books and my library had them, I'd probably give in.